Recruiting for marketing talent in San Diego can be very challenging. There are a few important points to consider if you are committed to hiring the best talent. One of the good things is that it’s a small market with amazing companies, schools and talent right at your fingertips. Luckily for you, we have experience as a recruiting agency in San Diego and we’re going to share a few tips with you about what we’ve learned. The tricky part is is that cost-of-living is very high. The cost of living is comparable to Orange County or Los Angeles, but the salary market in San Diego is lower. This makes it challenging to relocate from those areas since they will be used to a similar cost of living with higher salaries. You also run the risk of losing talent to Los Angeles or Orange County as people are attracted to the higher salaries with similar cost-of-living. As an agency in San Diego, we’ve seen this happen a few times. San Diego has a lot to offer like less traffic, a more relaxed lifestyle, and an overall different culture than is found in Los Angeles or Orange County. This is highly attractive to many people and it’s what brings many people to San Diego. You must have a well-defined company culture that speaks to the things that matter most to people. Then you increase the likelihood of attracting the best candidates. You can carve out a competitive niche for yourself by prioritizing work-life balance, health and other incentives for your employees. While it is challenging to relocate from Los Angeles or Orange County, this should still be a major strategy when it comes to talent acquisition. There are many folks in Los Angeles or Orange County who won’t want to move to San Diego. You want to find candidates who want to get out of the rat race of Los Angeles and be somewhere smaller like San Diego. You must find a way to head those people and there is no way around a large amount of volume and reaching out that it takes. Often times hiring a headhunter is the only way to reach enough people. A headhunter can help to find the ones who are interested in coming to San Diego. 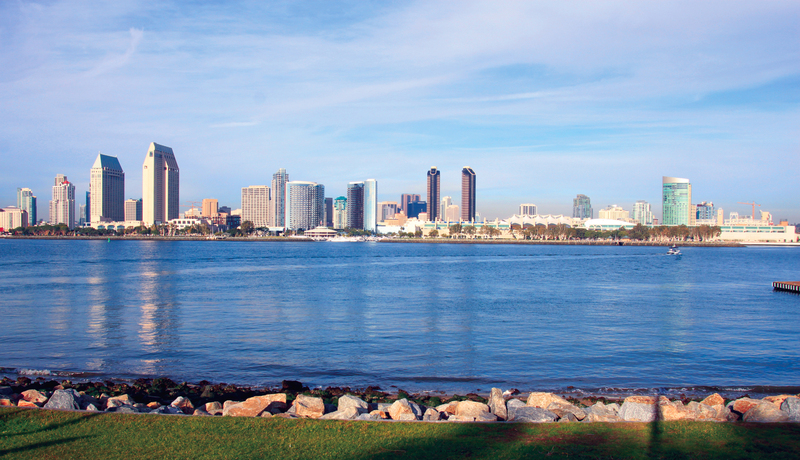 Having a good relocation package can go a long way for attracting people to San Diego. Since San Diego is a smaller market you’ll want to leverage your employees to get the word out about open positions. You can create incentives for employee referrals to drive your employees to reach into their networks and help find you good people. A benefit in a San Diego headhunter is that pretty much everybody knows everybody by a few degrees of relationship. You can capitalize on networking with your employees and this is another place where your employer brand comes into play. It’s very important to have a well-established employer brand that speaks to the value of your employees as well as potential employees. San Diego is a small market that certainly has recruiting challenges, but has a lot going for it as well. Some other smaller markets such as in the midwest or in the south have a lot more challenges. The beautiful scenery and laid-back attitude are very appealing to many people, both in Southern California and around the country. San Diego also has some of the best climates in the entire country which can play a role in attraction. Leveraging the topics in this blog will get you off on a great start when recruiting in San Diego! If you’re looking for more help with recruiting in San Diego, feel free to visit our contact page and reach out. We’re always happy to help.